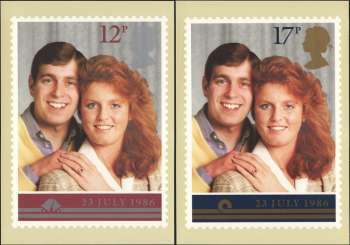 The wedding of Prince Andrew, Duke of York, and Sarah Ferguson was held on 23 July 1986 at Westminster Abbey in London,England. 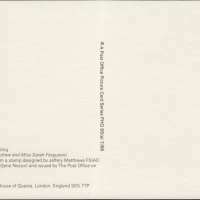 Andrew proposed to Sarah on 19 February 1986, his twenty-sixth birthday. Their engagement was announced on 17 March 1986. 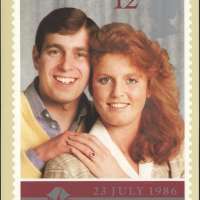 The Duke and Duchess of York appeared to have a happy marriage, producing two daughters, Princess Beatrice (Beatrice Elizabeth Mary; born 8 August 1988) and Princess Eugenie (Eugenie Victoria Helena; born 23 March 1990), who were, as of July 2013, sixth and seventh, respectively, in the line of succession to the British throne. However, it was reported that Andrew's obligations as a naval helicopter pilot and critical attention Sarah received from the media contributed to the couple's estrangement. 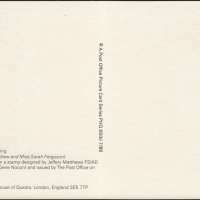 Andrew and Sarah announced their separation on 19 March 1992, and divorced on 30 May 1996.